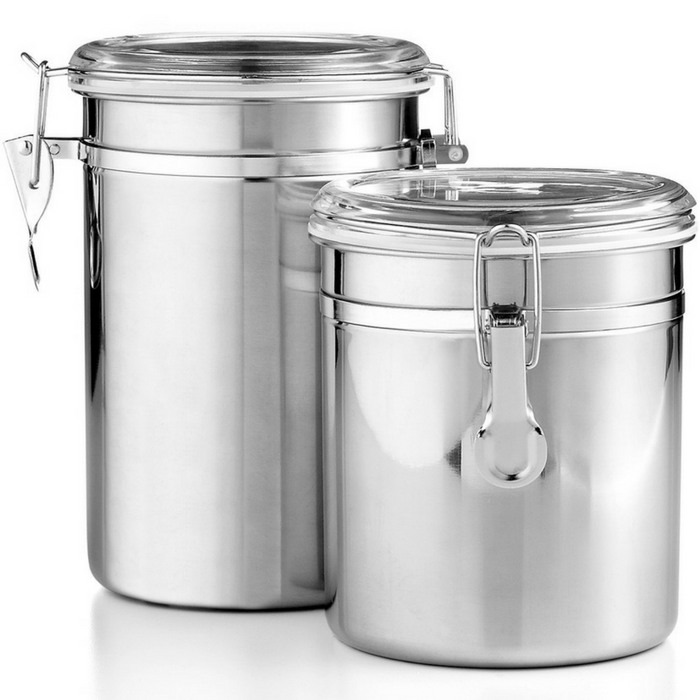 Martha Stewart Canisters 2-Piece Set Just $7.99! Down From $17! You are here: Home / Instagram / Martha Stewart Canisters 2-Piece Set Just $7.99! Down From $17! The highlights of your counter space. Brilliant stainless steel keeps your work space neat & tidy, while also providing the perfect place to sort, store & ensure the freshness of your most-wanted & -needed ingredients. From coffee & tea to flour & sugar, this 2-piece food storage container expertly houses the staples of any busy kitchen with airtight lids that keep moisture out.